Takeaway: PolyScience president Philip Preston and Summit CEO Elliot Kremerman together to discuss innovation in the cannabis industry. This was the takeaway. It was a rare opportunity in time that brought PolyScience president Philip Preston and Summit CEO Elliot Kremerman together to discuss innovation in the cannabis industry. The resulting riff was not a conversation for the layman. Working at their level of knowledge, terms such as ERP systems, molecule gaps, cold trapping, and other high-tech verbiage slid as easily from their lips as a conversation about a dinner menu. Underlying the tech-talk and drive for innovation, however, was a more tangible reason for why these innovators strive to be the absolute best in their fields: to serve people and to make the world a better place by producing the best and safest products possible. For Kremerman, whose company produces high-tech cannabis extractors and distillation equipment, his motivation for making the best equipment possible was realized early on. As Summit rose to the top of its class, something else happened that made Kremerman want to improve even more. After a year of improving products and increasing safety, efficiency, and reliability, a different kind of client began to appear. “Six to nine months into running Summit I started noticing that more medical clients started to appear from an emerging medical market that served a wide variety of clients from cancer patients to children with autism,” said Kremerman. A turning point for Summit was when it partnered with PolyScience, a manufacturer of liquid temperature control hardware and botanical extraction for more than 50 years. The company has been involved in cannabis extraction industry for 10 years. 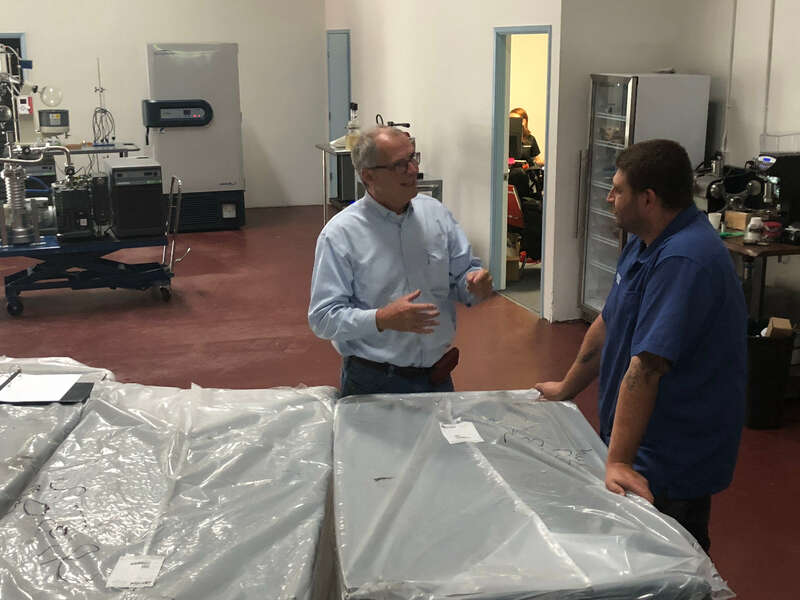 Preston adds that many of the companies that PolyScience works with are providing solutions for cannabis extraction are moving at an extremely rapid pace when it comes to innovations. The market is emerging, and technologies are evolving very quickly in an effort to provide the best possible solutions for the industry. As with Kremerman, Preston cites important medical applications for his equipment. Preston states initially he was apprehensive about the cannabis industry. “I think what changed my view on this was after I did some research on the medical benefits of marijuana and how it is helping a lot of people. The extract from the plant can be of tremendous benefit to children with various diseases, cancer patients, so it is for far more than the recreational purposes." With similar motivations and a driving desire to make better products, PolyScience and Summit teamed up to develop a new probe configuration on PolyScience’s low-temperature coolers that facilitates getting the probe in the cold trap where it fits the application perfectly. Often, it’s over a steaming cup of java that Preston and Kemerman can be found discussing short path distillation, ISO 14,000 requirements, mechanical valves, and stepper motors, all in an effort to make their equipment better so the cannabis industry can march toward a brighter future for people who benefit from it. What’s Next in the Cannabis Extraction Industry?